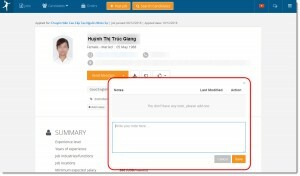 How to open Candidate details? 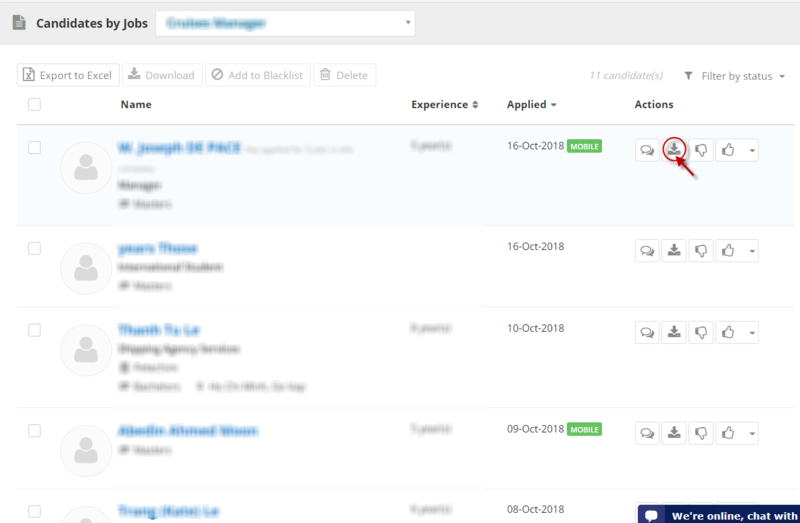 What do we have on a Candidate details page? 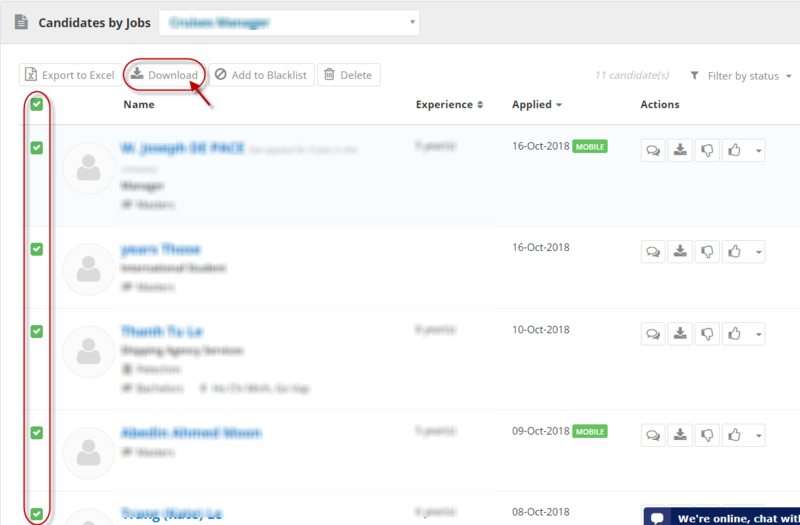 Instead of moving candidates into folders, by which 01 candidate belongs to only 01 folder; now you can organize candidates by tags. Just like the way you organize your documents. 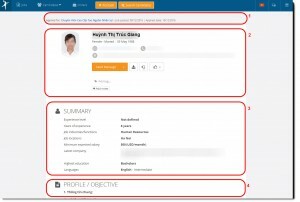 You can tag anything, by person in charge, by status, by assessment, by language skills…So that later on, you can look for it faster and easilier. Beside tags, you can take note too. 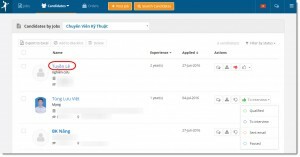 Here is a sample of how tags and notes are displayed. 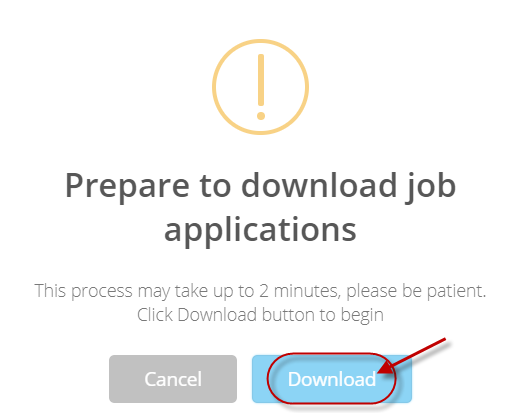 The process may take up to 2 minutes, Click Download button as below to begin downloading CVs to your computer.